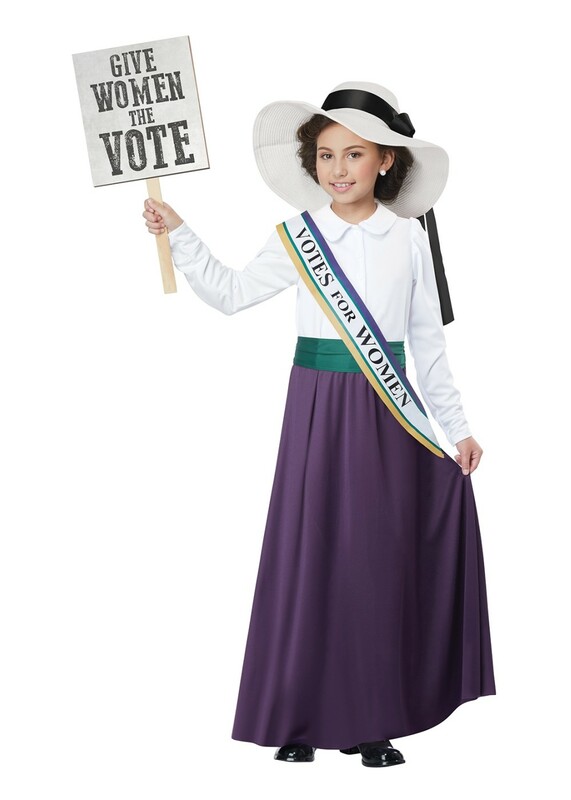 American Suffragette Girls Costume. Purple, white, green. Includes dress, belt, sash, hat, hat ribbon. Available in Medium, Large, X-Large. March for your right to vote, celebrate the 19th amendment and be a part of women-s history dressed in this Suffragette costume. Perfect for school events or any costume party, this ensemble is truly inspiring. Walk in the footsteps of powerful women- We vote yes! 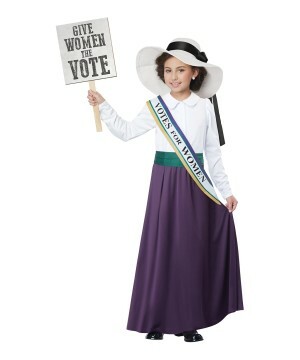 Review(s) for " American Suffragette Girl Costume"